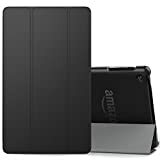 If you are going to buy a Kindle tablet or you have it already, then it is important to secure them with a great Kindle cover. 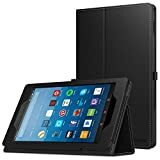 In present’s scenario, the market is flooded with Kindle covers and makes it difficult to choose the best Kindle Fire HD 8 case. 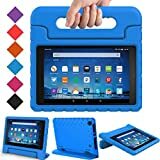 When you have decided to choose a Kindle Fire HD 8 case, then the first place to buy the cover is Amazon top 10 Kindle Fire HD 8 case. 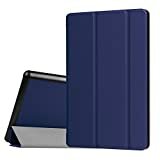 These Kindle cases are designed especially to protect the Kindle tablets all the time. When you put this Kindle case on your Kindle tablet, will make your personality more elegant with their styles. These cases are provided at reasonable prices. 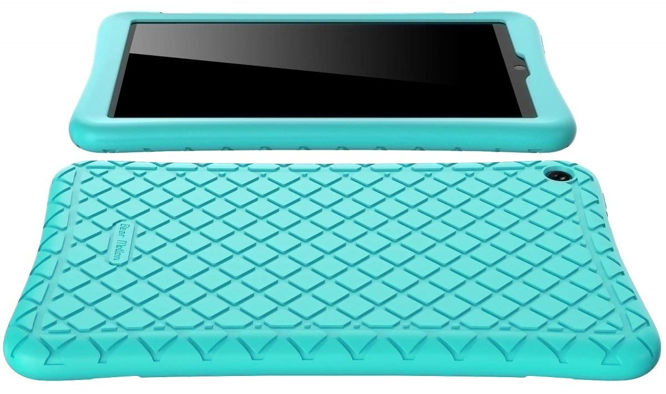 However, you can explore here the 10 best Kindle Fire HD 8 case. 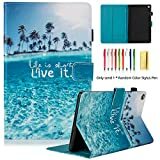 These kindle cases are coordinated into this list based on their features. And all of them fit the 2018 release generation. MoKo Case is designed for the all-new Amazon Kindle Fire HD 8. This It is a combination of style and functionality. Its exterior is made of high-quality PU leather and the interior is of microfiber. This is the protective and lightweight case. It has a feature of automatic wake/sleep. You can wake your device automatically or put your Kindle to sleep when the lid is opened and closed. This case has a dual-angle stand. It can transform into viewing angle or typing without difficulty. This Kindle case has an interior hand strap to use it with one hand comfortably. It has a stylus pen loop. It has openings for camera, ports and button controls. 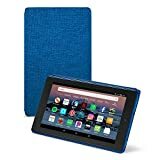 A marine blue classy look cover for Amazon Fire HD 8 tablet which is compatible for 7th and 8th generation tablet releases in 2017 and 2018. The material of the case is premium fabric on the exterior and interior of the cover. Slim designed with built and stand in the case for the hands-free purpose. On portrait and landscape orientation you can put up a device on the stand. Automatically wake up and sleep feature on case closed and open. Magnetic tape is for closure a case. Over a cover, you can access all buttons, ports and cameras. Fintie Folio Case is specially designed for all new Amazon Kindle Fire HD 8. The material of this case is PU leather and soft microfiber to prevent scratches. It is durable, lightweight and comfortable. This case has an auto wake/sleep feature. It is designed with a perfect holder for the stylus. It has a flip capability to convert the case into a viewing stand. This case has an interior pocket that opens for easy device insertion. Fintie Folio Case has a soft inner liner that helps to protect your tablet against damage or fall. Bear Motion Silicone Case is particularly made for Amazon Kindle Fire HD 8. It is made of impact resistant material. It is very easy, comfortable, durable and safe to carry. This case has a slip-resistant pattern design. This case is very soft to put on. It has a great size and shape. It provides easy access to buttons and ports. Its form-fitting factors protect your Kindle against dirt and scratches. This case is very easy to hold in hand to read and play. It covers all edges of the Kindle completely. Sevrok case is designed for all new Kindle Fire HD 8 Tablets. It is made of high-quality PU leather. It has a soft microfiber interior that offers comfort and protection against scratches. This case is durable, slim, protective and lightweight. Its cover has a flip capability to convert the case to a keyboard stand or viewing stand. It has an auto wake/sleep feature. This slim fit case offers an excellent protection from a fall or damage. Specially designed for All New HD 8 tablet 8th Generation 2018 Released, also compatible with 7th generation 2017 released, 6th generation 2016 released. This Kindle case cover has dual layer protection, the outer layer of the case cover is scratch proof and made of synthetic leather. This case cover has an auto wake and sleeps feature that makes it smarter. The auto wake/sleep mechanism effectively extends the battery life of the Kindle. It has a smart magnetic strip at the back of the cover that helps to hold the kindle with better grip. It is an excellent and beautiful bumper case for kids and adults. It has perfect design to provide the perfect experience for you. It has 3 card slots for credit, 1 larger pouch for the bill and one pocket. A shockproof kindle device cover for 7th and 8th generation device. Designed with a tuatara magic ring, handle which use as a stand on the surface also, A multi-functional grip which is rotating at 360 degrees. 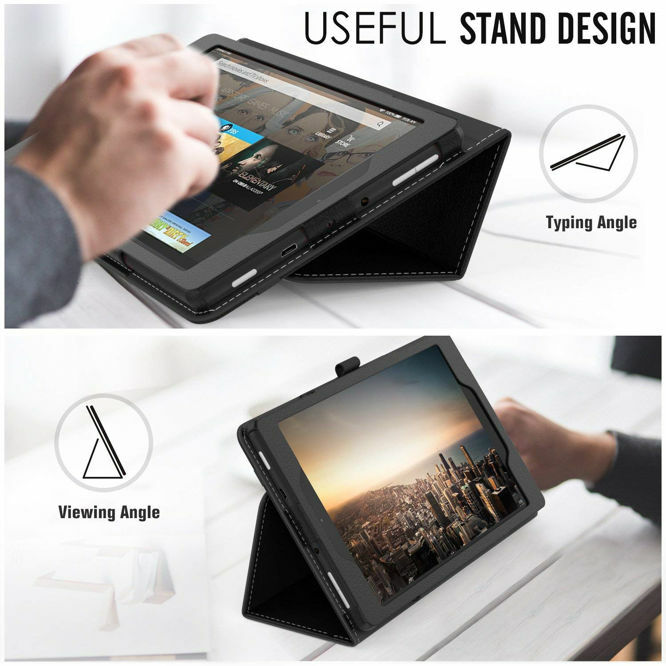 It is revolving stand and handle stand for Amazon HD fire 8 tablet. Horizontally and vertically you can adjust a stand. Dual layer protected material is used. Hybrid soft shock absorption TPU skin & impact-resistant polycarbonate with a hard shell back cover provides outstanding protection for the ultimate drop defense. Built-in screen protector, shockproof, dustproof and button and port guard. Famavala Folio Case Cover is the beautiful case cover for Kindle Fire HD 8. The design of the cover is beautiful and attractive. It provides the full access to Tablet buttons (volume, power), charging slot, and earphone slot without any problem. It is a lightweight, slim and shockproof cover for the Kindle. The small loop is attached to the case to hold a stylus pen. It is made with Premium synthesized leather. The cover is scratch free and the auto wake up and sleep option makes it more perfect. This cover is best for the Kindle. Specifically designed for 8" Fire HD 8 (8th Generation, 2018 Release / 7th Generation, 2017 Release) 8-Inch Tablet. 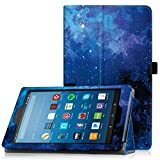 Fintie case cover for new Amazon Fire HD 8 tablet, compatible for 8-inch display and 7th and 8th generation release on 2017 and 2018. Also compatible with the 5th and 6th generation amazon fire HD tablet. Case give an option to stand on a different angle. A card pocket is internal, can store your business card, bank cards, bills and important notes. Microfiber interiors and genuine leather outside which gives comfortability of screen. A built-in magnetic strip for closure, auto sleep and wake up feature. Also in close case mode, cut of the case allows using ports buttons headphone jack and volume buttons. 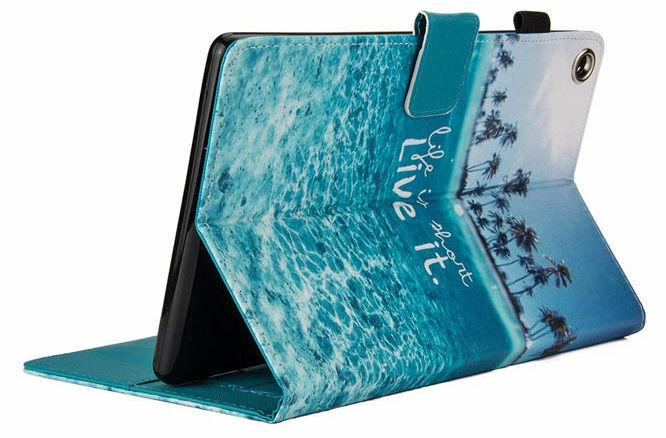 The MoKo Case cover for Kindle Fire HD 8 is High Quality, Stylish and Durable case cover. This case cover is made with premium PU leather and microfiber interior. 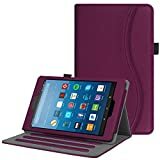 It is a perfect case cover for the Kindle which provides the full protection to the tablet and provides the convenient stand position for watching movie or typing. It has the latest design that makes it more attractive and beautiful. It has automatically wake and sleep features in it. 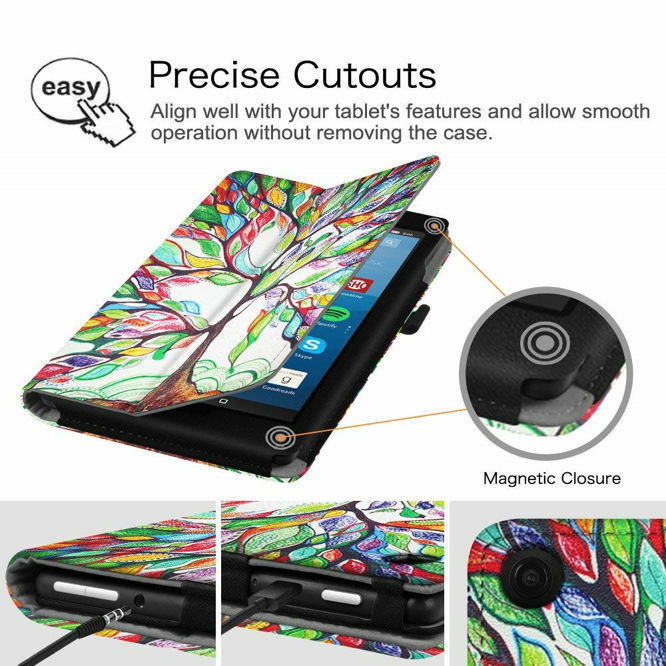 It is slim and lightweight case cover that protects the tablet. Below are some alternatives, also worth a look. 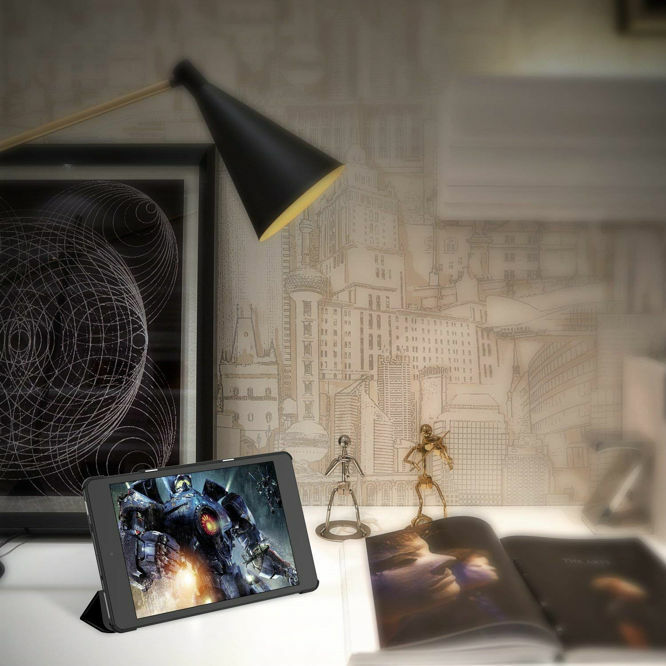 BMOUO Case is specially designed for all new Kindle Fire HD 8 Tablets. Its style is best suited for your personality. It is made of non-toxic EVA foam rubber material. Its material is very strong that protects your Kindle tablet. This case has accurate cutouts for easy access to camera, speakers, buttons and ports. It is lightweight, protective, convertible, durable, kids proof and shockproof. This case can turn into a handle for easy carrying and handling. 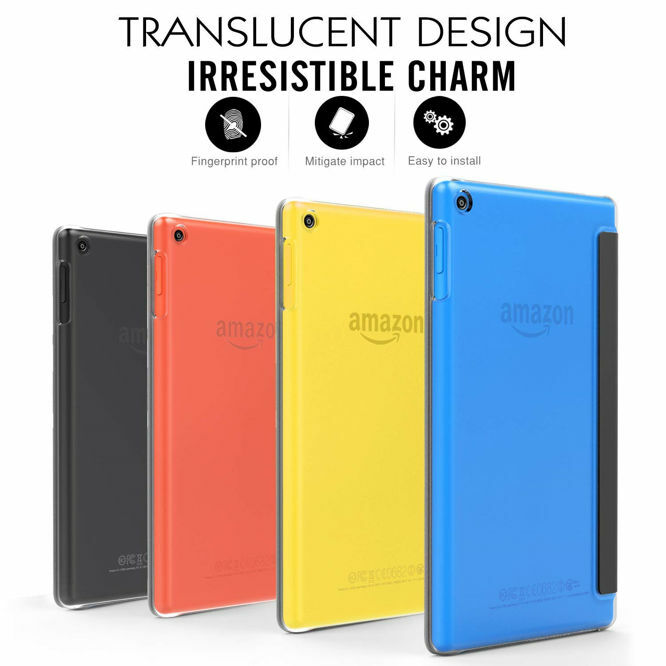 It is perfect and it fits your Kindle Fire HD 8 securely. 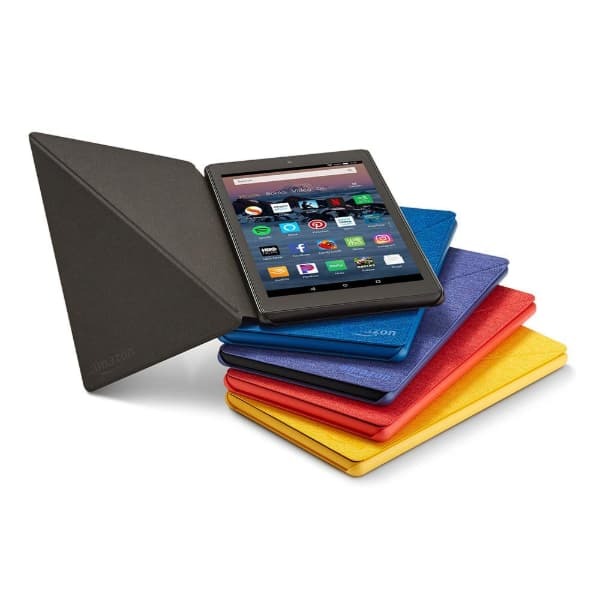 JETech Case cover is the perfect case cover for Kindle Fire HD 8. It is very lightweight and the slim size of this cover provides the beautiful look to the tablet. 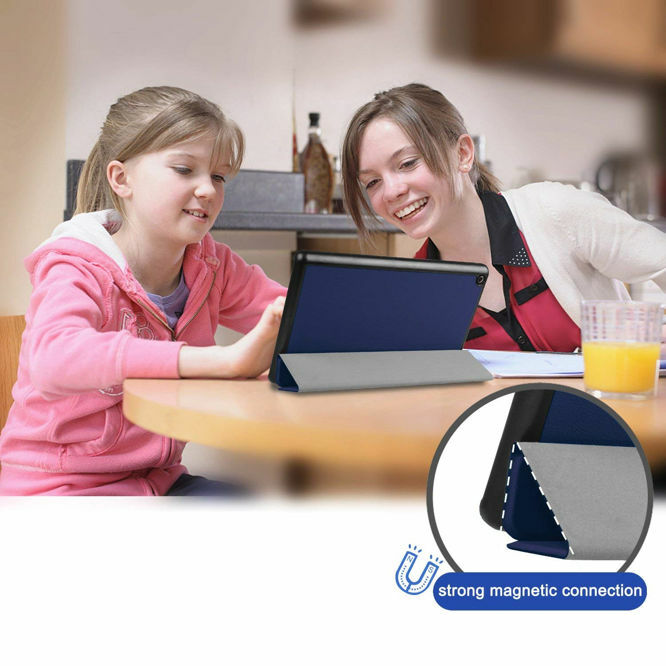 The exterior design of the cover provides comprehensive protection for your tablet. It is a very perfect cover as it has automatic sleep and wakes up feature which protects the excess wastage of the battery when not in use. 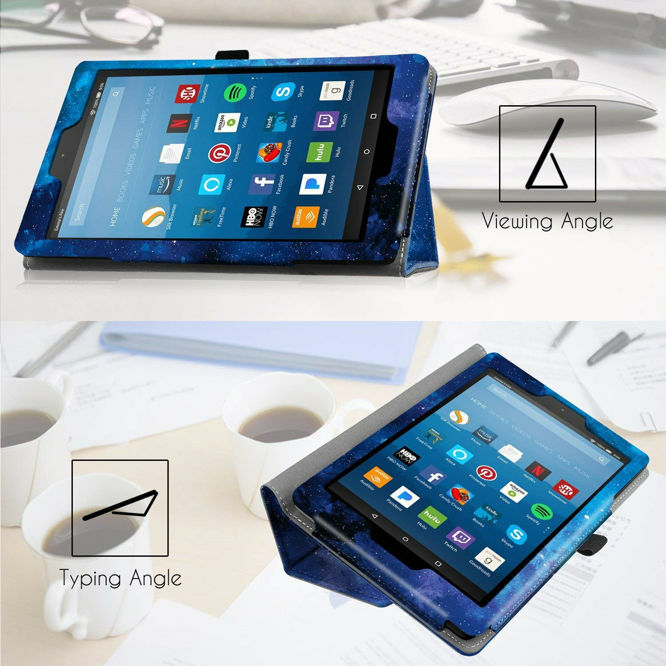 The tri-fold in the front of the cover can support the tablet in two standing positions for viewing and typing. It provides the complete access to the tablet for a better experience. The MoKo case cover provides the superior grip and comfortable hold to the user. It is lightweight and protective kid-friendly case. Constructed from impact-resistant rubber which provides the drop protection and impact-resistance safeguarding to the tablet. The precise cutout and openings for buttons controls and cameras allow for easy access to the tablet features. 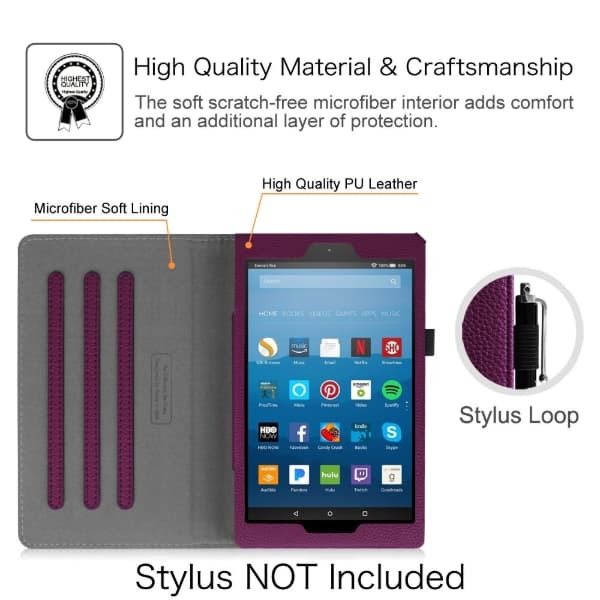 It comes with a lifetime warranty and is a perfect case cover for the Kindle Fire HD 8. 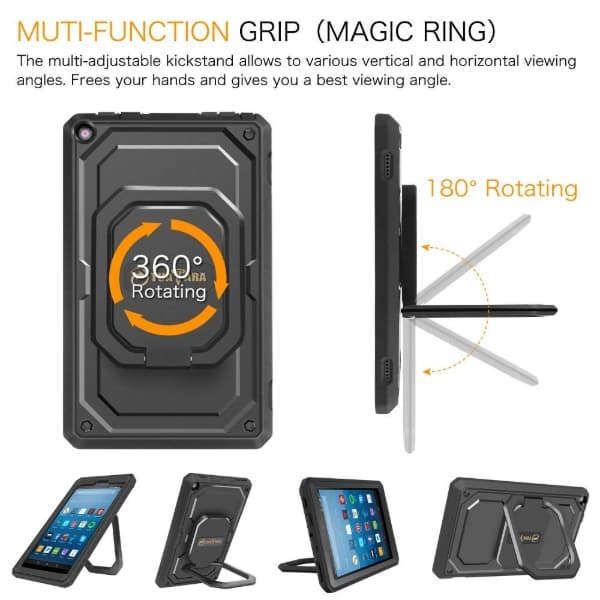 Designed specifically for Fire HD 8 (Compatible with 7th and 8th Generation - 2017 and 2018 Release). Easy access to all features and controls. 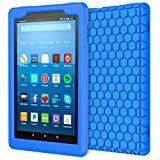 Above mentioned products are the best-seller Kindle Fire HD 8 cases on Amazon. These are the best Kindle case cover that fits perfectly onto your Kindle. 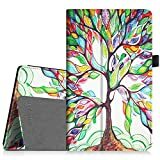 If you are looking for the best case cover for your Kindle then you should definitely go for these products. 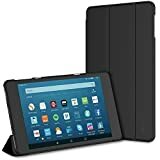 The list of these top 10 best Kindle Fire HD 8 case cover is provided after fully testing of the products. 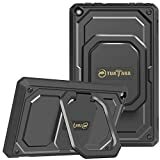 They are durable, comfortable and the list is reliable you can opt these cases for your favorite Kindle. All these Kindle covers are from top brands and provide the full protection to the tablet. 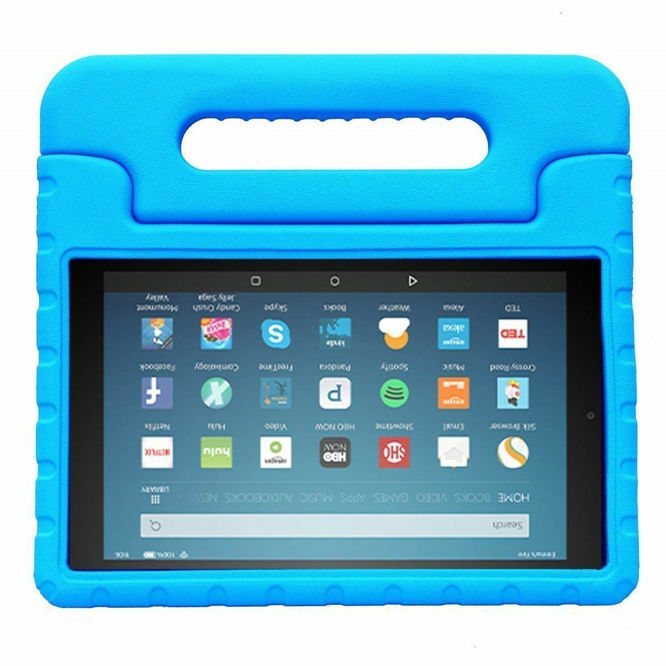 We had provided you the best information for the Kindle Fire case. All these come with super handy features that provide the full utilization power to the user without any problem. 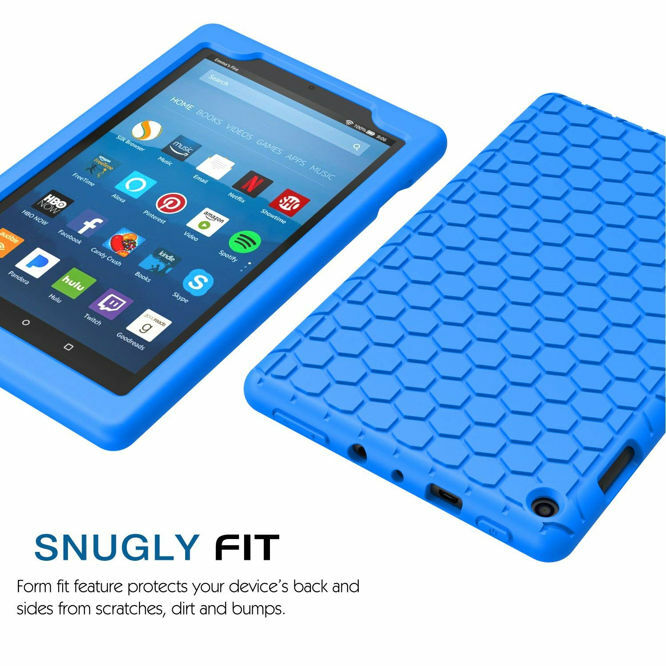 For the extra protection of your Kindle Fire case buy this amazing product from the Amazon. These products are definitely going to be your best buy for your favorite Kindle tablets.